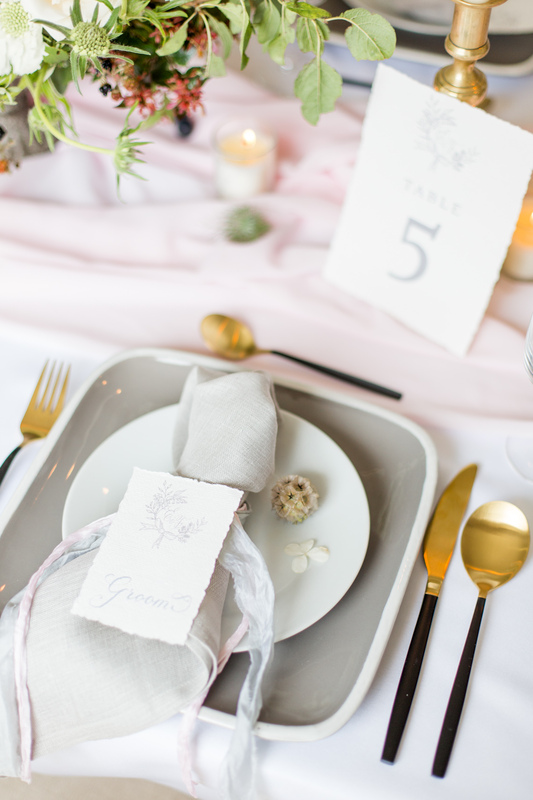 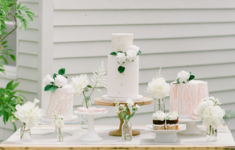 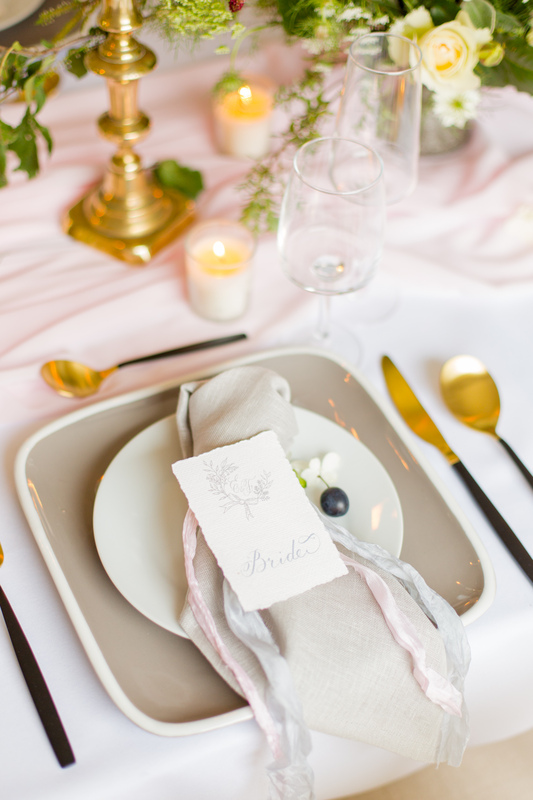 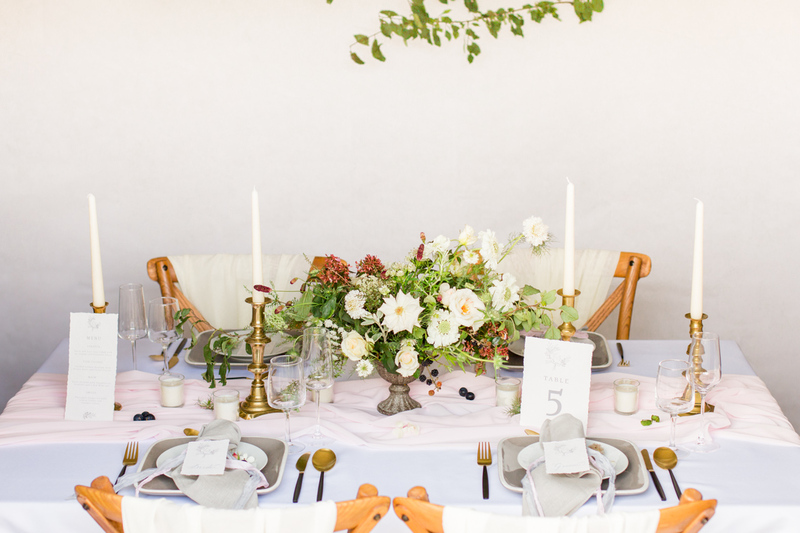 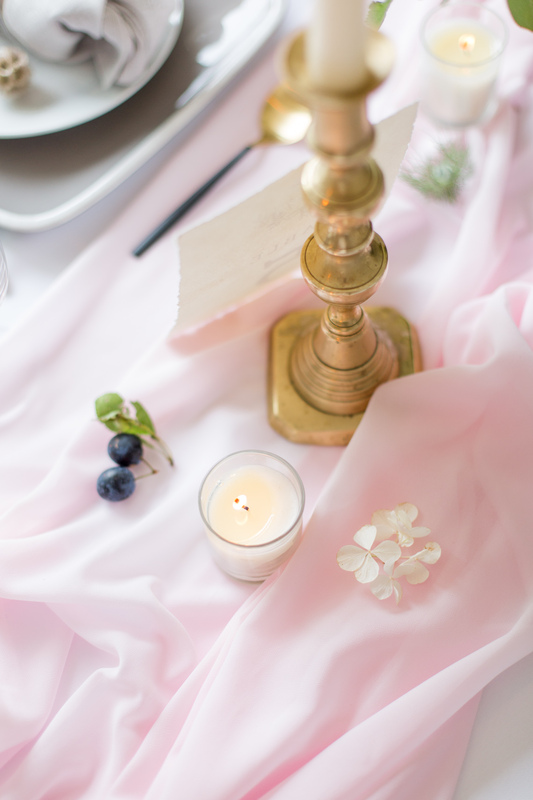 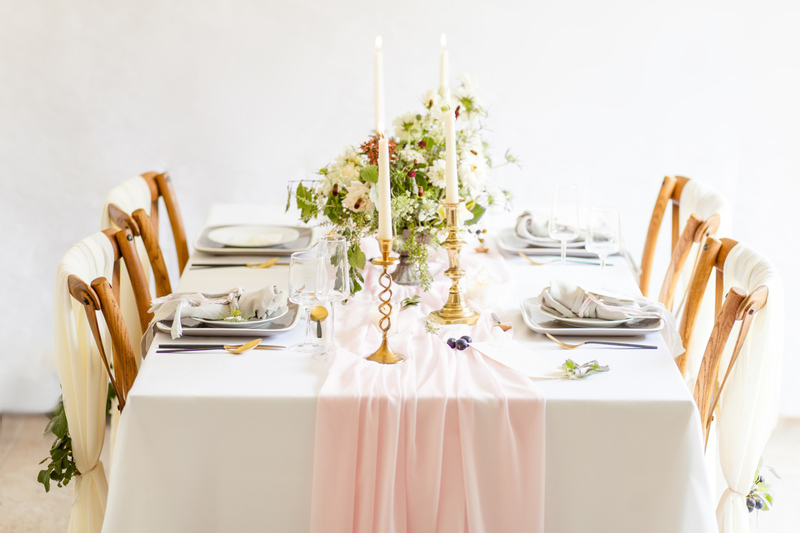 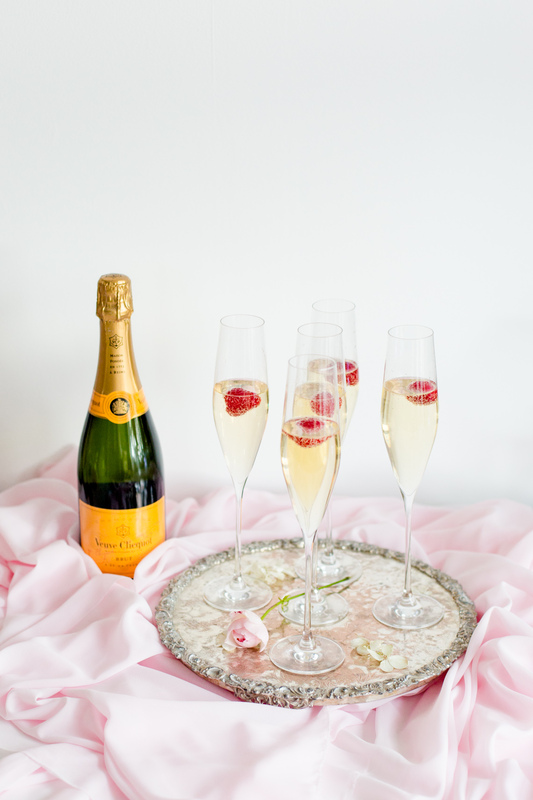 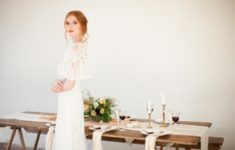 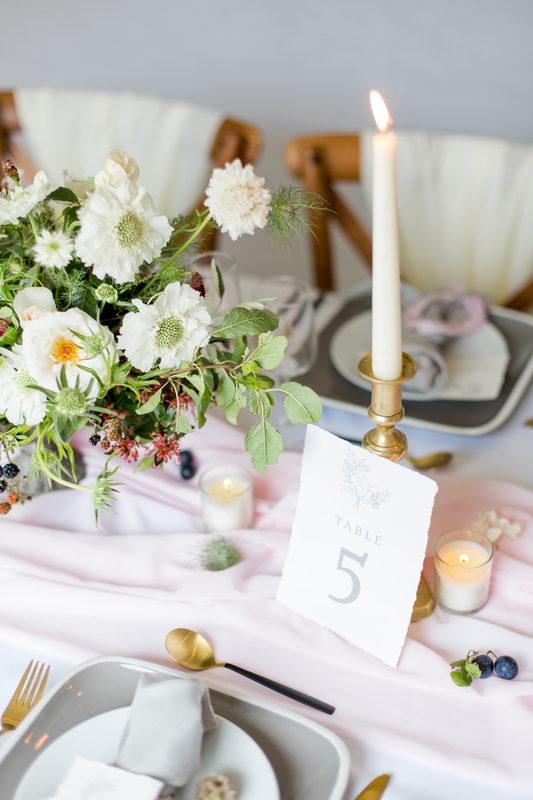 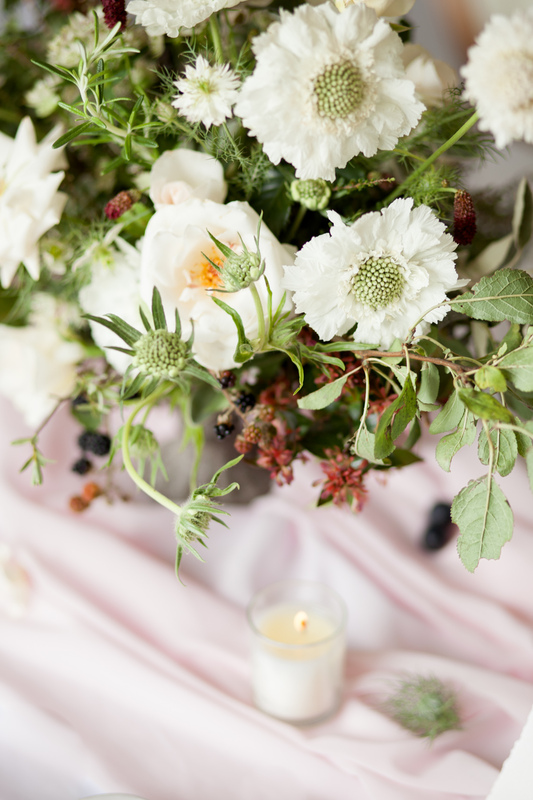 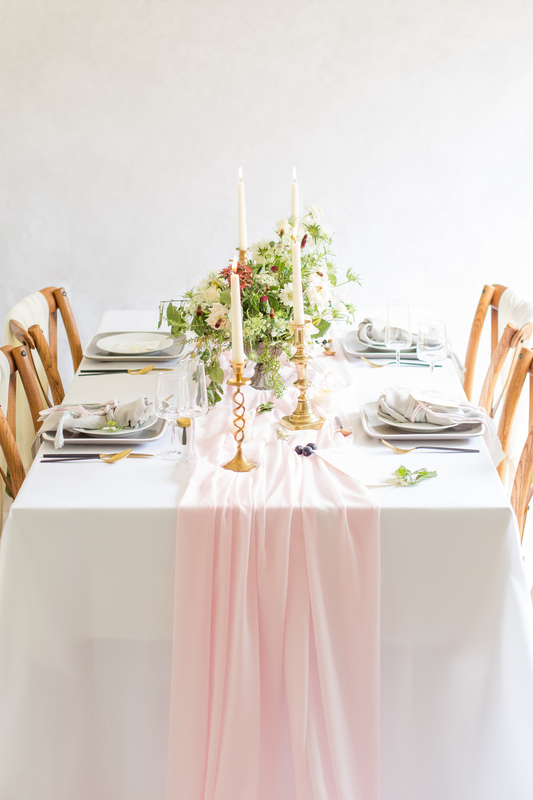 Let us treat you to plenty of pretty here on B.LOVED today with this beautiful shoot by Stylist + Planner Alana of Aisle + Style and fine art photographer Helen Warner Photography! 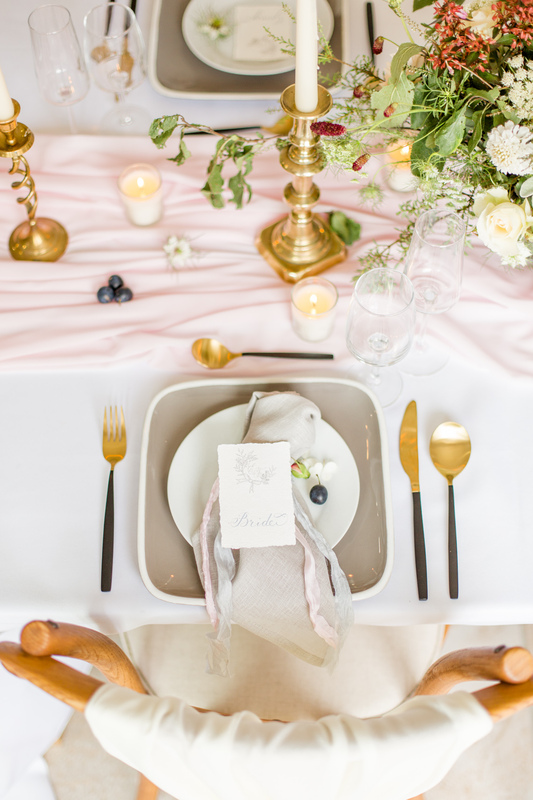 With a light and dreamy setting and soft colour palette of blush pink with white and grey, it is completely stunning and we adore Alana’s eye for mixing contemporary elements with timeless touches! 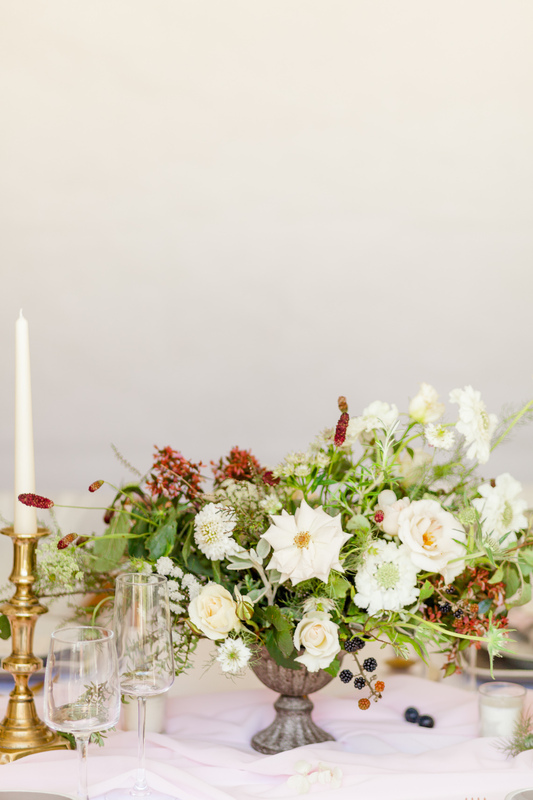 Today you’ll find a romantic table setting with creative touches that give your decor stylish hints of personality and you’ll fall in love with the beautiful floral designs by Floribunda Rose! 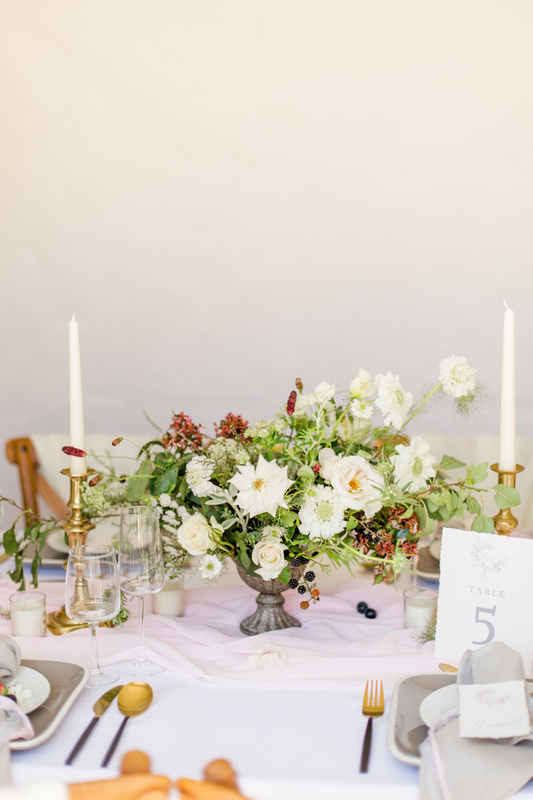 This artistic centrepiece is a perfect example of the contemporary floral artistry that is so on trend right now, but has such a whimsical, delicate fee. 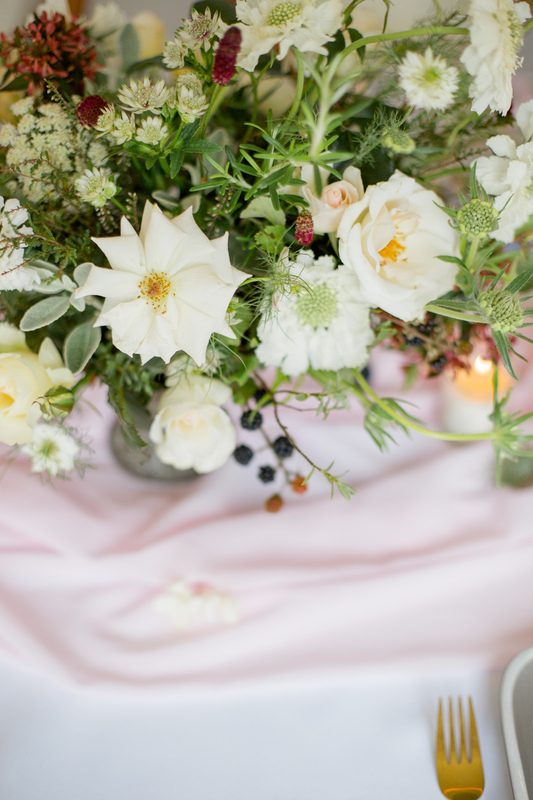 We love the textures of the different leaves and flowers reaching outwards in a wider spread that stays away from the perfectly symmetrical design. 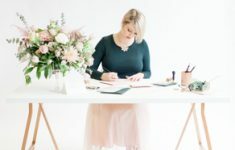 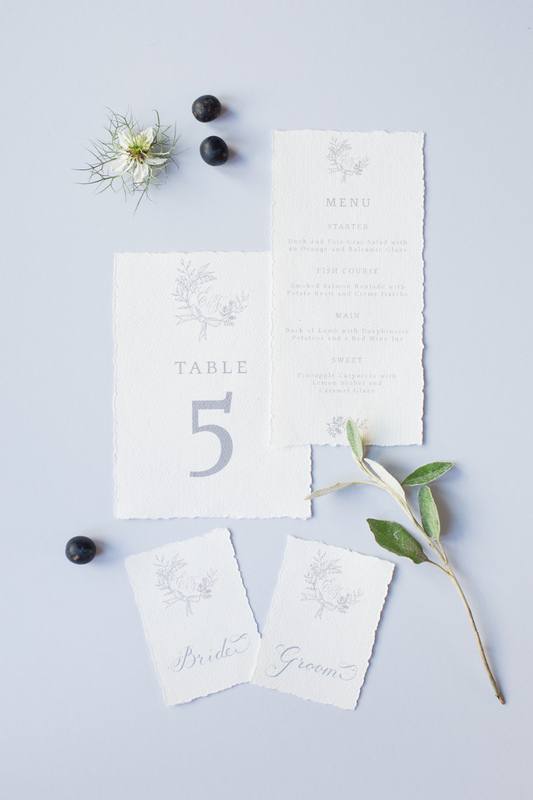 The calligraphy stationery suite created by Miss Modern Calligraphy is a white and soft grey and sits so wonderfully in both the colour palette and the essence of this decor too. 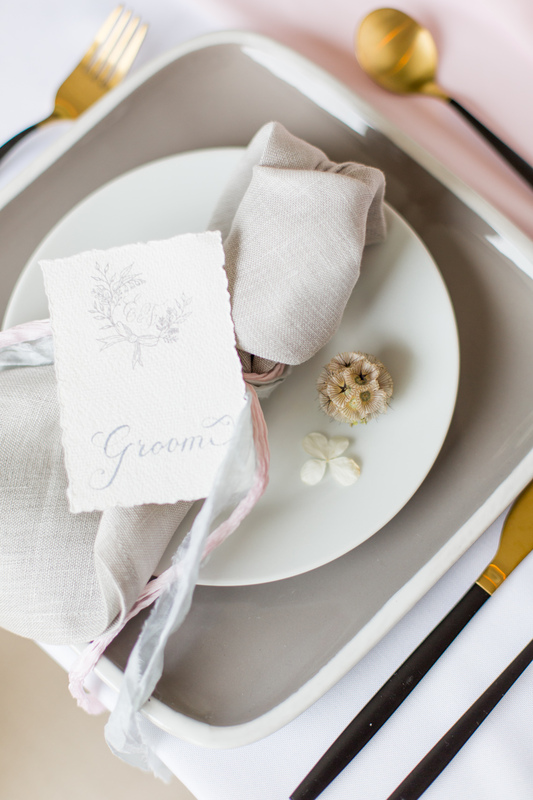 The sweet sketched illustrative elements are a beautiful touch! 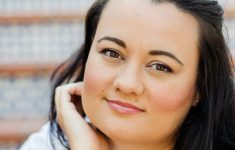 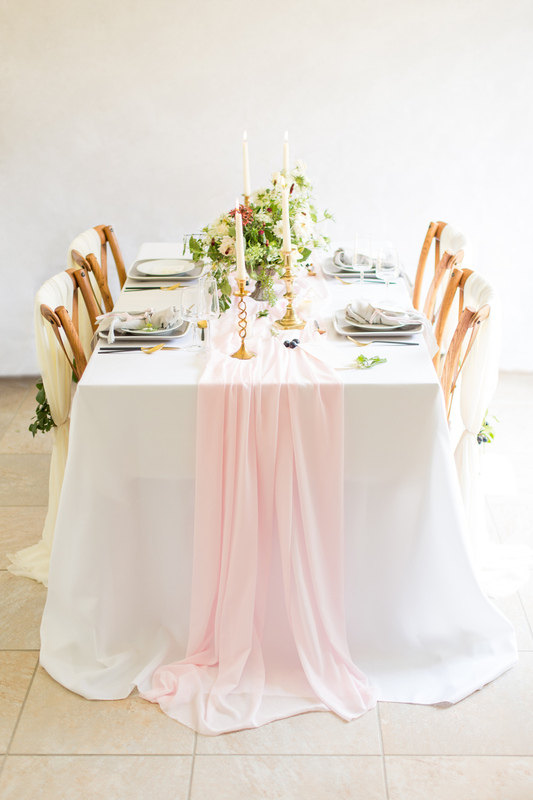 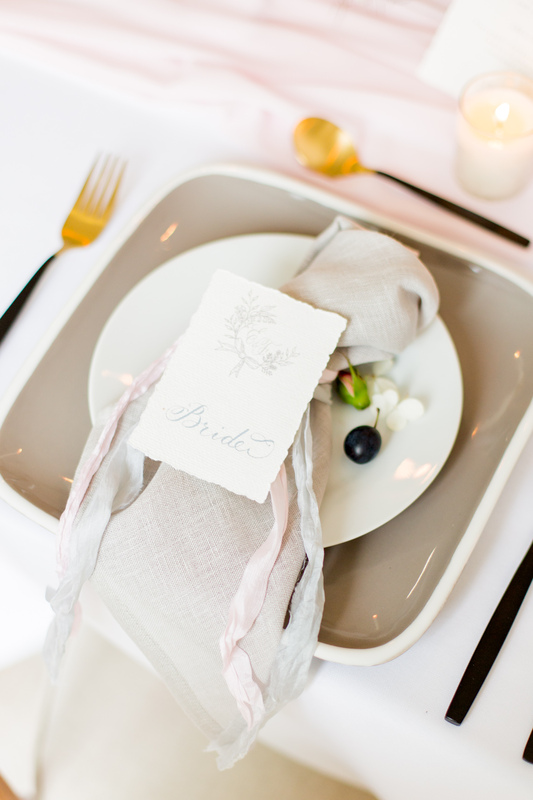 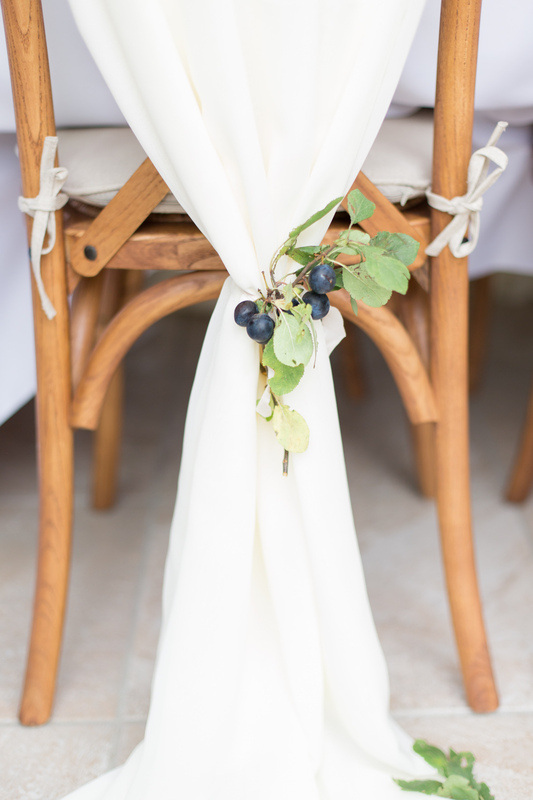 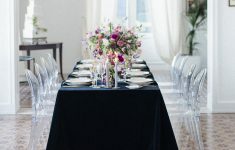 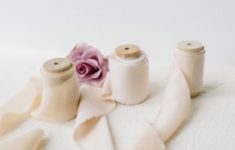 Alana uses silk runners by Kate Cullen to add colour but also texture and the lovely drape of this material creates that timelessly romantic look just so perfect for weddings. 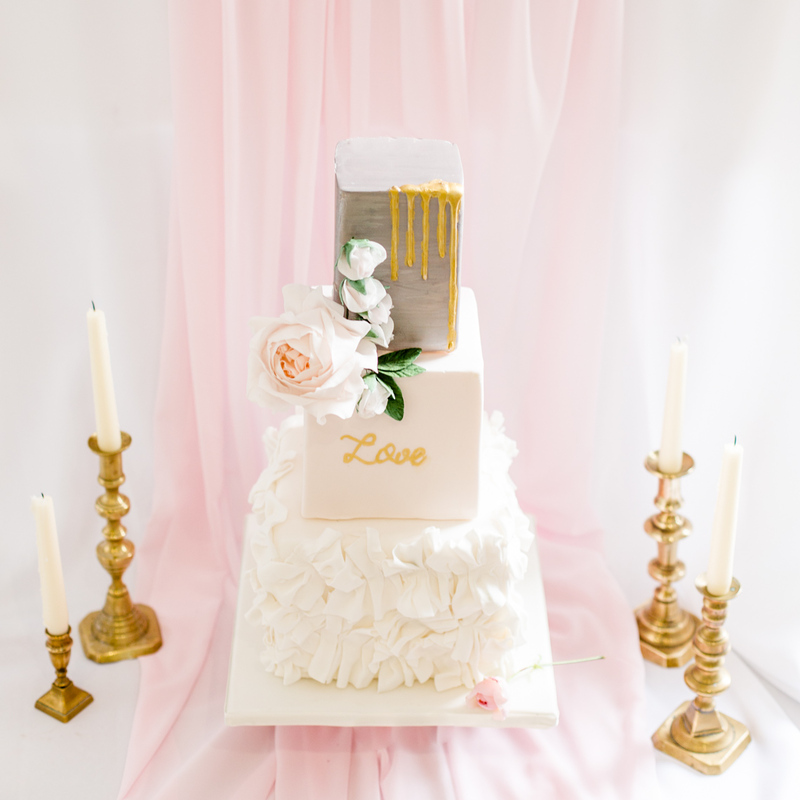 They look fantastic used to display your wedding cake upon too, such as this incredible wedding cake designed by MonAnnie Cakes! 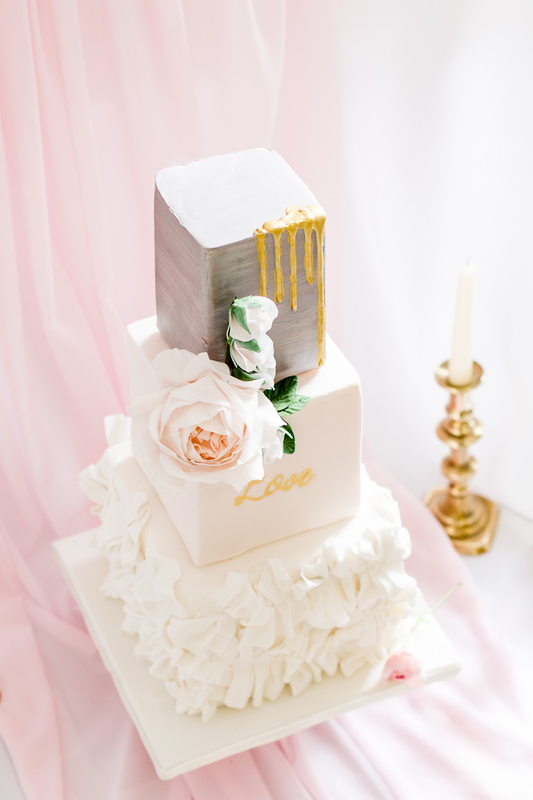 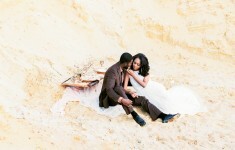 We’re completely swooning over the three tier, cube design, each with a different elegant effect.